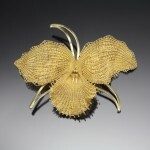 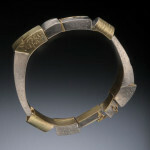 Mary Heller describes herself as a contemporary goldsmith who uses old world techniques. 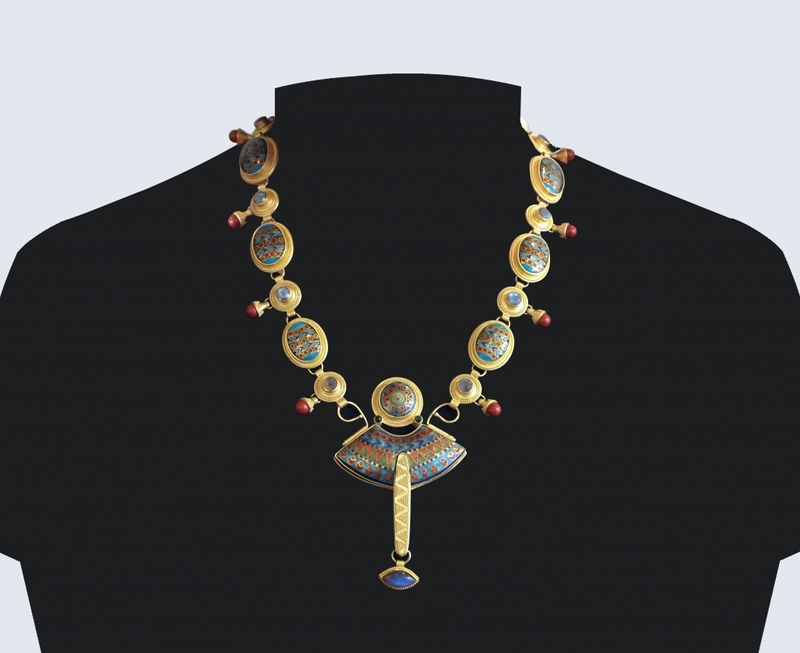 Heller’s necklaces included in this exhibition exude extraordinary craftsmanship and are inspired by ancient Etruscan jewelry and 19th century revival jewelry by Castellani. 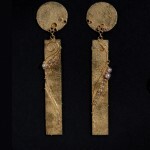 Often inspired by and modeled after works found in archaeological museums, the artist alloys her own 24K gold and uses the historical techniques of granulation, cloisonné enamel, filigree and fusing.